Kangertech Subtank Mini-C Cartomizer comes with 3ml liquid capacity tank features top filling, leak resistant cup design, symmetric airflow slots and adjustable liquid channel. Kangertech Subtank Mini-C Cartomizer is designed with 3ml liquid capacity tank features top filling, leak resistant cup design, symmetric airflow slots and adjustable liquid channel. 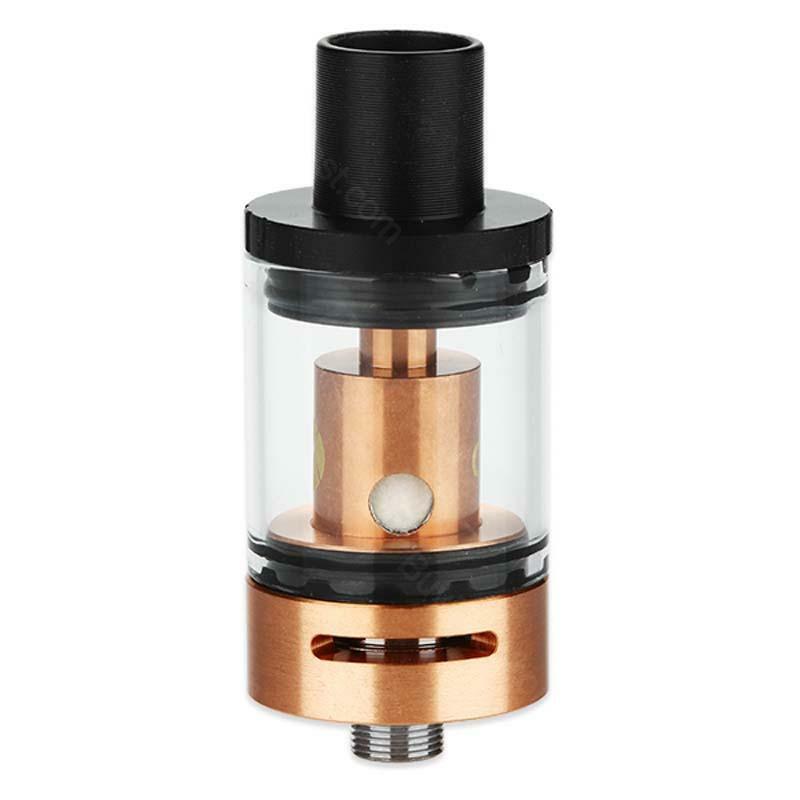 Subtank Mini-C also comes with replaceable pyrex glass, POM drip tip, SSOCC(SUS316L) 0.5 Ohm coil head, pyrex glass and the seal ring. In addition, 510 thread and 22mm diameter make Kangertech Subtank Mini-C Cartomizer is easy to match most electronic cigarettes battery and mod. Five colors for your choice. One of the best tanks I've used on my Subox Mini-C. The top-fill feature is great, and so is the fact that you can change the atomizer head without having to wait until the tank is empty. Just tip your mod over, and pull the tank off. The atomizer head is attached to the airflow base. Just make sure that your e-liquid level is below the holes in the center. Kangertech Subtank Mini-C Atomizer is a 3ml capacity atomizer for E-Juicewith a 510 thread and resistances of; 15 Ohms, 0.5 Ohms, 1.2 Ohms, 1.5 Ohms.